Parental relocation happens when a parent moves away following a divorce. A parent may move away for many reasons, including a new job or family commitment. 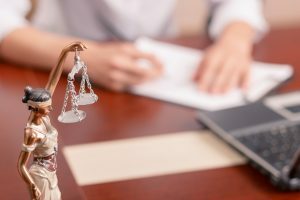 This common issue can further complicate the divorce process or make it necessary to revisit certain agreements such as child custody, child support or spousal support. Should a parent relocate away from their child, any child support orders must still be carried out. Just because a parent moves doesn’t mean child support payments stop. States will also work together to enforce these orders from other state jurisdictions. Child support cases can occur in multiple states at the same time, but the child’s home state will have priority. In addition, only one valid child support order can be enforced at any time. If you are receiving alimony payments, also known as spousal support, a relocating spouse could affect those payments. In California, if a spouse receiving alimony payments relocates to another state, that spouse is still entitled to receive alimony payments. It can be complicated, however, to enforce alimony requirements across state lines and it is possible for a spouse to skip out on payments. In addition, a spouse can also lie about not receiving their payments, which can complicate the legal proceedings between the spouses. Are you thinking about relocating to another state but are worried how your child custody or support with be affected in California? Contact an attorney experienced in family law to assist you in making a sound legal decision. At the Law Office of Daniel Jensen, we discuss your legal options regarding your proposed relocation. Contact us to schedule a free consultation.